Delicious baked goods always seem to hit the spot, whatever the time of year. Thankfully in Texas, you don’t have to be in a big city to enjoy breads and pastries with big flavor. We’ve gathered up some favorite small-town bakeries to consider dropping by next time you’re in the area. 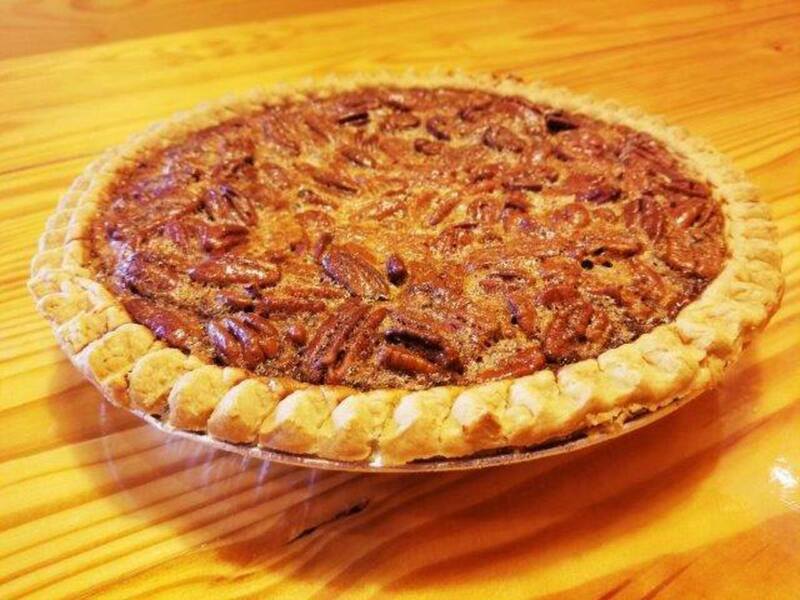 Conveniently located on Highway 290 between Houston and Austin, Chappell Hill Bakery & Deli, in none other than Chappell Hill, has quite the assortment of bites for sale. Baked goods offerings include kolaches, sweet rolls, sticky buns, turnovers, and empanadas. 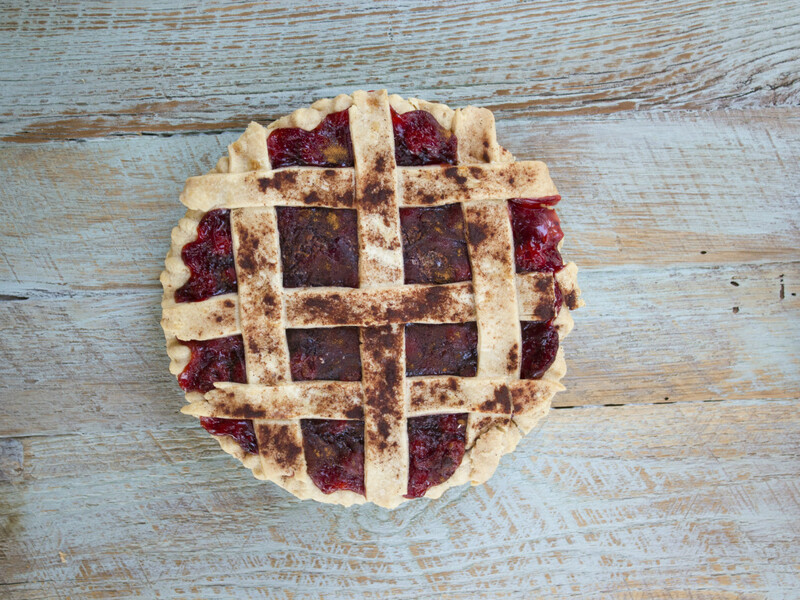 And, of course, we can’t forget about the homemade pies, which come in pecan, chocolate, coconut, lemon meringue, apple, blackberry, cherry, and buttermilk. 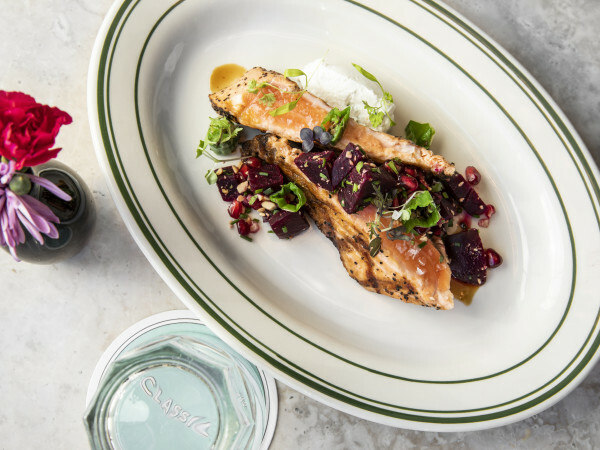 Or make a meal of it with table seating and a menu teeming with beloved barbecue and homestyle dishes. Along the not-so-scenic mess that is I-35, Czech Stop is a much-appreciated pit stop. 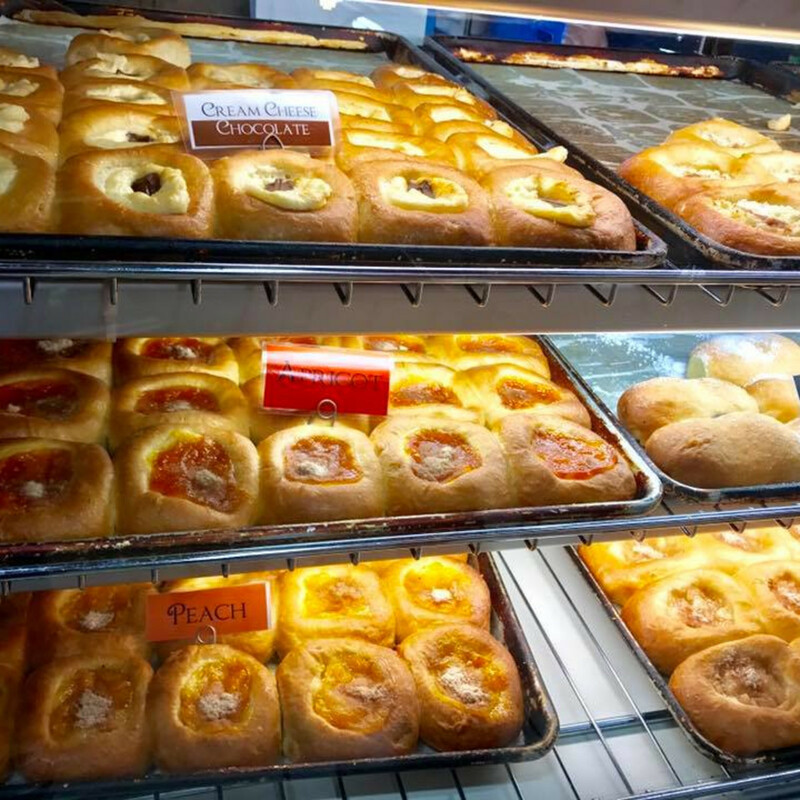 Whether hankering for some traditional Czech baked goods or simply trying to eat well on a drive across the state, consider popping in here where the slogan is “Delicious is our Business.” Part bakery, part convenience store, part gas station, this famous shop is located in the town of West. Much like West itself, and unsurprisingly from the name, Czech culture is a big part of this bakery. 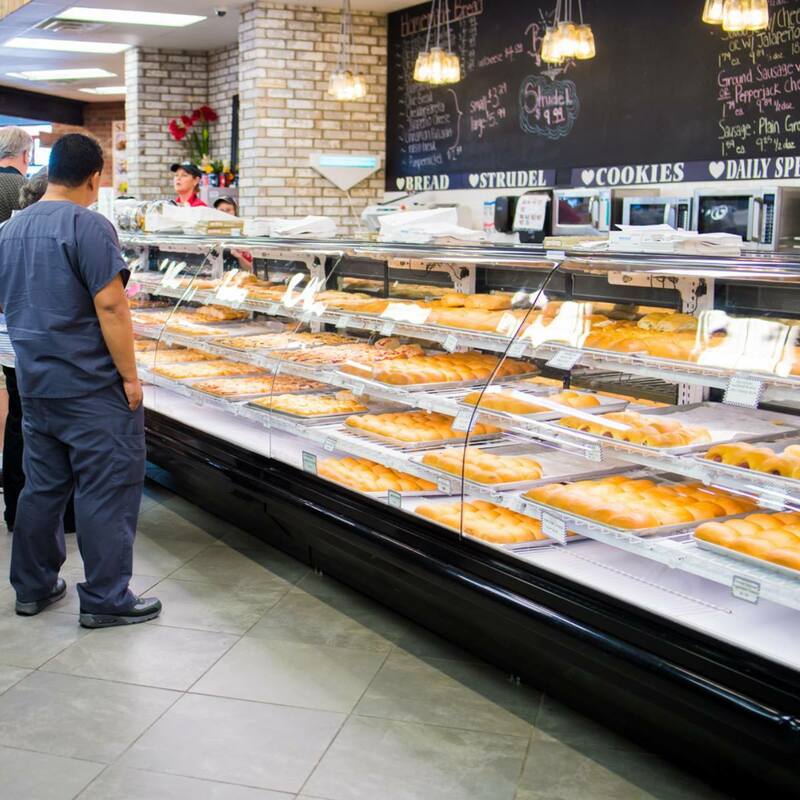 Nowhere is this pride more evident than in the display counter, where you’ll find rows and rows of savory klobasniky and fruit kolaches. Those may be Czech Stop's claim to fame, but it also offers other pastries like pies, brownies, breads, and cookies. And to sweeten the appeal of a visit to Czech Stop? It's open 24 hours a day, seven days a week. For those driving down TX-71 to get to Austin, don’t worry — you have your own small-town bakery to pop into. 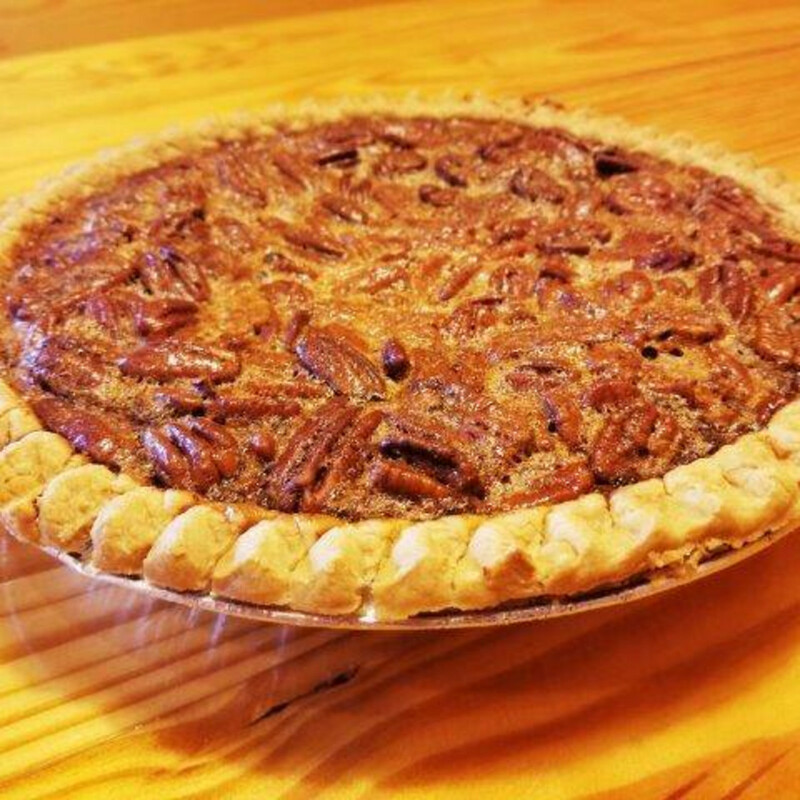 Hruska’s Store & Bakery in Ellinger has deep roots in Texas. Originally founded in 1912, this store has been owned and operated by the same family, and has long been a popular stop for people to grab some gas and pick up some kolaches. 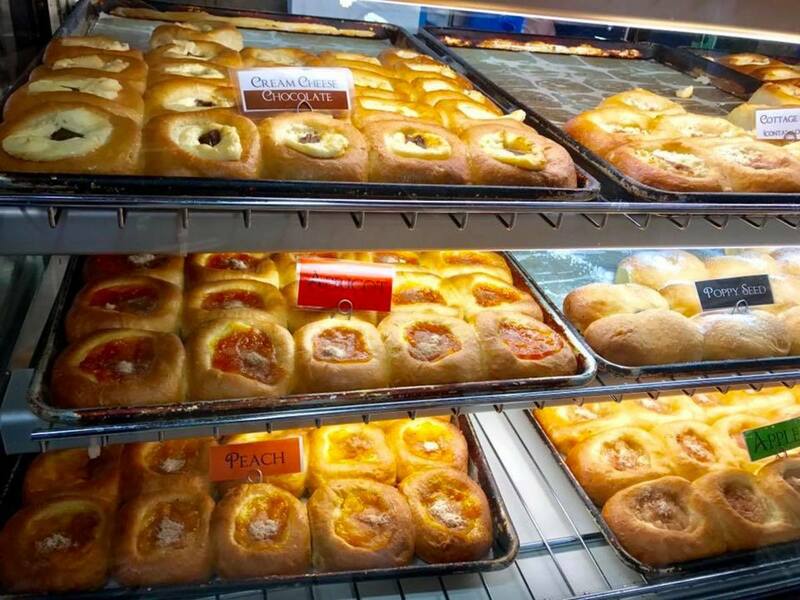 Fresh kolaches were first sold at Hruska’s back in 1962, and today they’re baked on-site using the original recipe. Among the choices are apple, lemon, pineapple, and cream cheese. There is also a selection of pigs-in-a-blanket, or klobanisky. Know that they have two different types of sausage to choose from: link sausage (a smoked blend of pork, beef, and garlic) and pan sausage (a spicy, patty-style sausage made from pork). Along with the bakery, Hruska’s has a grill firing up burgers, sandwiches, and wraps for those with a bigger appetite. 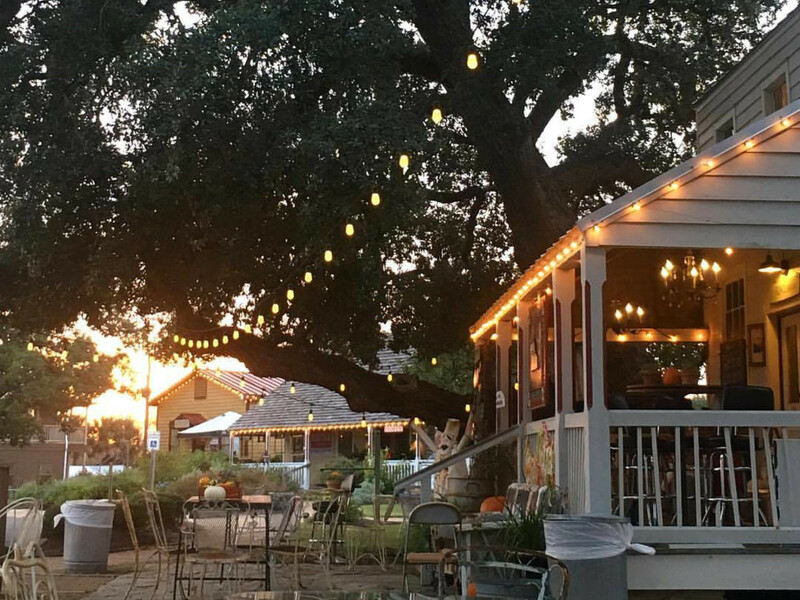 The tiny town of Round Top is most well-known for its antiques fair, but it also happens to be home to a dessert lover’s dream: Royers Pie Haven. 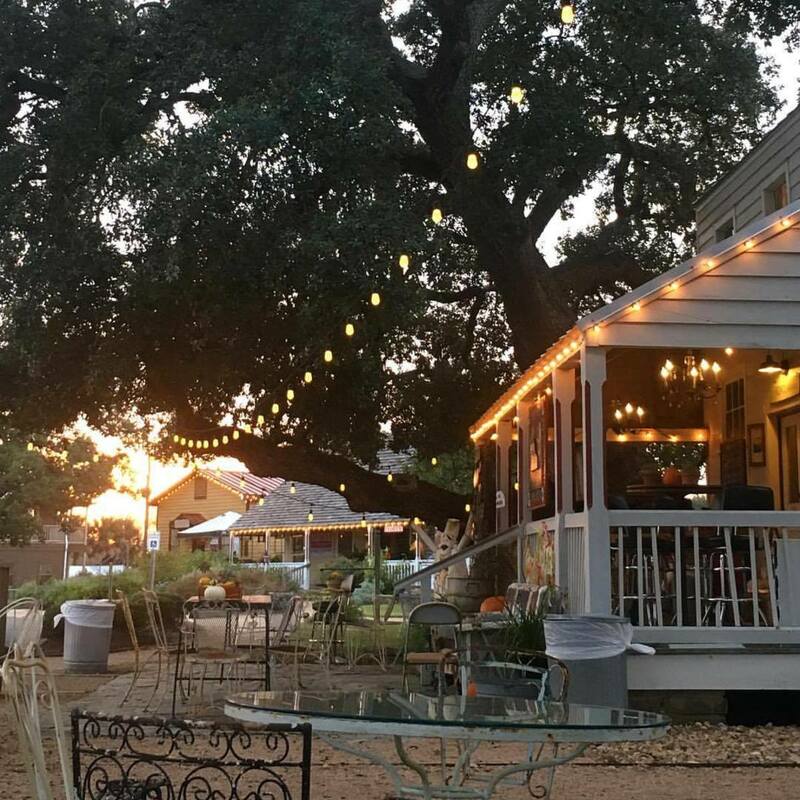 Situated in a whimsical little house in the picturesque part of town known as Henkel Square, it's the perfect kind of place to sit down, slow down, and dig into some homemade sweets. Tara, the owner aka the Pie Queen, has been baking since she was eight years old, and she opened the business as a sanctuary to bring a little bit of love to the community. 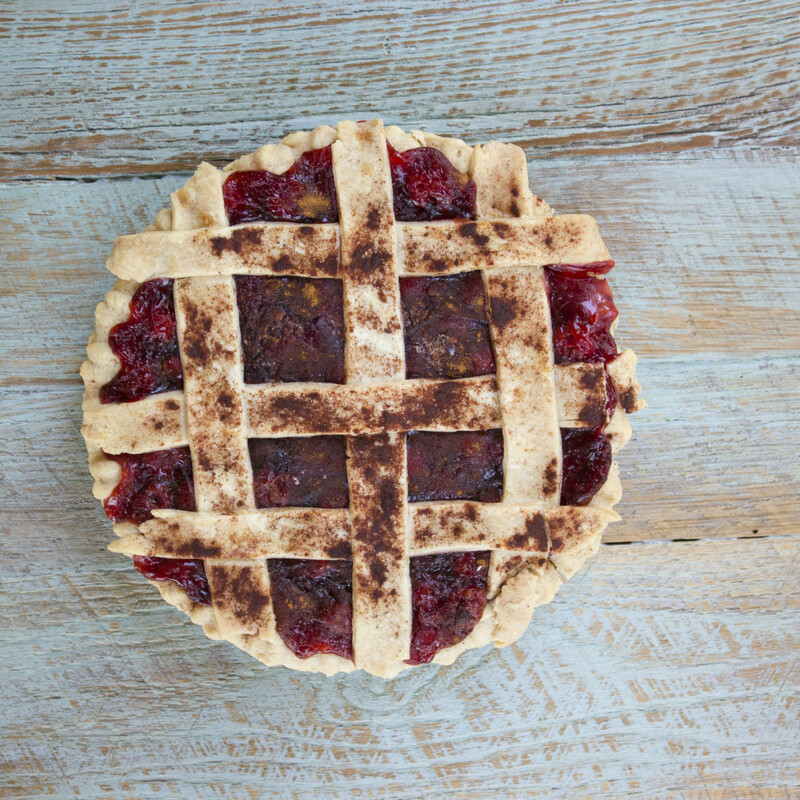 And that love comes in the form of mouthwatering, made-from-scratch pies like pecan, chocolate chip, strawberry rhubarb, and buttermilk, to name just a few. Royers even has a creation called the Texas Trash Pie, which includes coconut, chocolate chips, graham crackers, pretzels, and caramel. 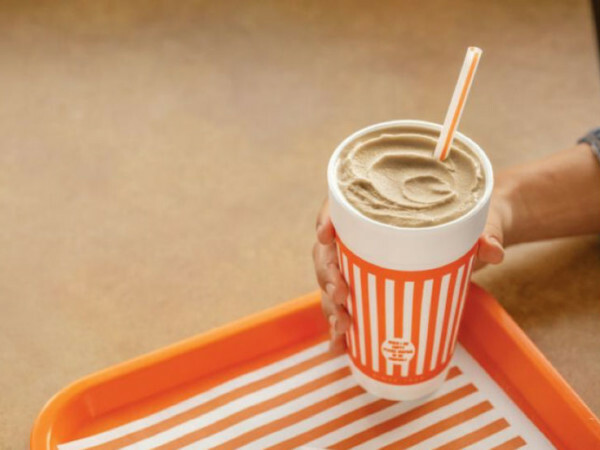 Don’t forget to check out its breakfast offerings, savory pies, cookies, and pie shakes, too. Czech Stop isn’t the only bakery in West worth a special visit. 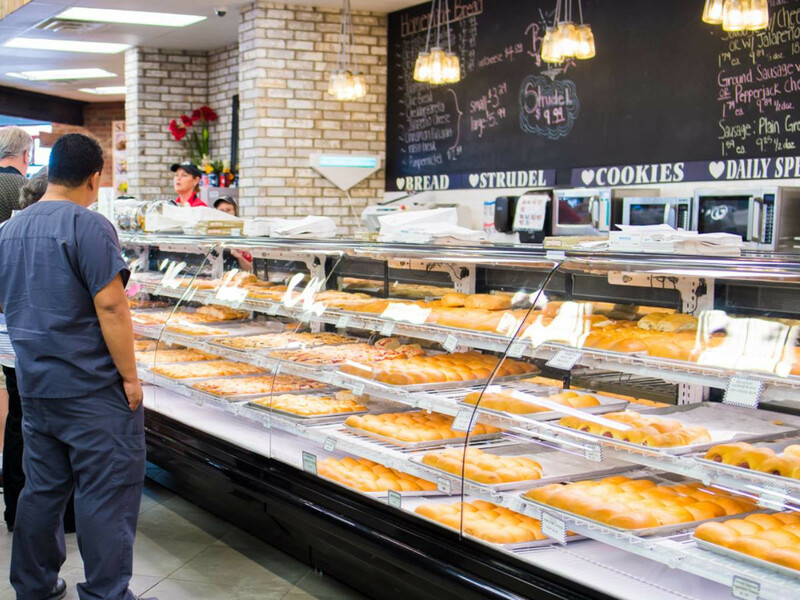 Along with baked goods, meats, and cold deli items, Slovacek’s boasts over 30 different types of kolaches. There’s cherry, Nutella, sausage and kraut, and so much more to satisfy every craving. Pet owners will be pleased to know that Slovacek’s conveniently has a dog park, complete with separate sections for different-sized pups. When driving down the highway, what more could anyone want than to fill up the gas tank, go shopping for dinner, let the dog run around, and pick up a treat or two? Heck, you can even buy souvenirs in the adjacent shop. For those in need of a road trip break or in search of something tasty, Slovacek’s is a good way to go.